The Gauge of a net refers to its thickness, so a #60 net is thicker than a #21, for example. The Mesh Size is the size of each square. Our nets range from 3⁄4" and 1" mesh for Golf, to 11⁄2" mesh for Lacrosse and Hockey, to 13⁄4" mesh for Baseball and Softball, to 4" mesh for Soccer. The Color of a net may be available in Black, White, or Green. 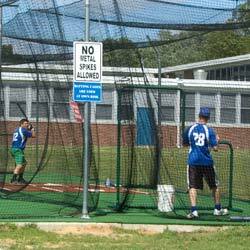 Baseball/Softball - All of our gauge options have 13⁄4" squares, so a baseball or softball will not go through the net. The nylon gauge options go from #18 to #96, and our most popular choice is the #36. The #36 is also very popular for Lifeline Netting for boating. The #36 is available in Black, White, or Green. The #21 in Black or White. All other baseball/softball gauges are available in Black only. Poly nets only come in #36 gauge. Nets available in Black. Golf - We offer two nylon golf net options in #18 gauge. For direct hitting and heavy use, we have High Impact nets with 3⁄4" squares. Nets available in Black or White. For low impact or longer distances, we have Barrier nets with 1" squares. Nets available in Black, White, or Green. Lacrosse - Our lacrosse nets have a smaller square size (11⁄2") so a lacrosse ball will not go through them. They are made form #30 nylon and are available in Black only. Hockey - Our #30 gauge nylon hockey net has a 11⁄2" square size which prevents pucks from going through. Also available is our 13⁄4" Clear mono-filament netting. This is great for the top of hockey goals and as barrier netting. Soccer - We use #36 nylon nets with a 4" square for soccer to allow the most viewing room possible. Since a soccer ball is much larger than golf or baseball, the soccer ball will not fit through the larger mesh squares. Nets available in Black or White. Please allow 7-10 business days for manufacturing, rush shipping/production available call to ask for details. The quantity box displays the total square footage of your project from the dimensions provided. On Deck Sports can make you a custom netting panel that will stand up to nearly anything you throw at it. Whether it is baseball, softball, archery, golf, lacrosse, or hockey, we have the custom netting panel solution for you . Unlike the netting you'll find elsewhere, our sports nets are made of high quality nylon & are dyed using inside-out technology to maximize breaking strength with your custom netting panel. The inside out technology dyes each individual strand of the rope with the UV protection to increase the life of your net so that it will last for years. 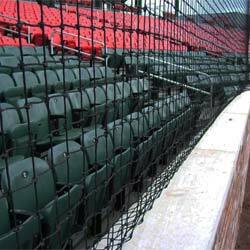 We have baseball & softball netting, golf netting, hockey netting, soccer netting, lacrosse netting and more! All standard nets come with a woven rope border. Based on our many years in the industry, On Deck Sports understands that every athletic facility or sports field has a unique design and set of dimensions. 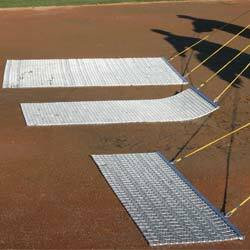 On Deck Sports can provide you with the ideal netting solution for your particular needs. Our netting exceeds the market standards with our inside out technology. During the fabrication process of our nets, netting is protected with UV inhibitors and dyed a certain color. During our process, we coat and dye each individual strand of netting, which protects the net from the inside out. 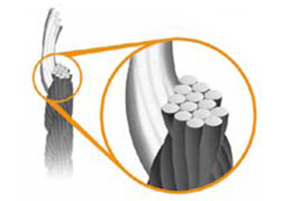 This helps to maintain its initial breaking strength increasing the durability and life of the net. Our competitor’s netting fabricates the netting and the dips and dyes, only protecting the outside of the net. • During the fabrication process, netting is protected with UV inhibitors and dyed a certain color. This process reduces UV degradation and increases the life of your custom netting panels. • All of our netting is hung on the square, not the diamond. This looks better and hangs easier – leading to a smooth installation. • Our inside-out technology helps maintain the breaking strength of our netting throughout its life. The breaking strength of our netting is the strongest in the industry. 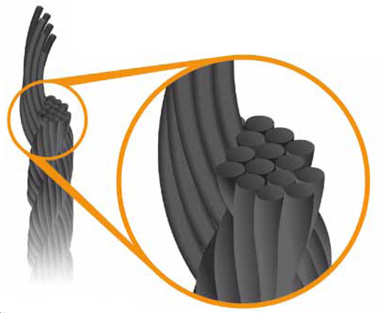 • Refers to the fabric thickness; for example, #60 netting is thicker than #21 netting. • Refers to the size of each netting square. 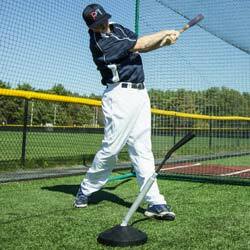 • All of our gauge options have 1 ¾” squares, so a baseball or softball will not fit through the netting mesh. The nylon gauge options go from #18 to #96, and our most popular choice is the #36. The #36 is also very popular for Lifeline Netting for boating. The #36 gauge netting is available in black, white and green. The #21 netting is available in black or white. All other baseball/softball gauges are available in black only. Poly nets only come in #36 gauge and is only available in black. • We offer two nylon gold net options in #18 gauge. For direct hitting and heavy use, we have high impact nets with ¾” squares. Our golf custom netting panels are available in black or white. For low impact or longer distances, we have barrier nets with 1” squares. Our golf nets available in black, white, or green. • Our lacrosse nets have a smaller square size 1 ½” so a lacrosse ball will not go through them. Our lacrosse custom netting panels are made from #30 nylon and are available in black only. • Our #30 gauge nylon hockey net has a 1 ½” square size which prevents pucks from going through. Also available is our 1 ¾” clear mono-filament netting. This hockey net is great for the top of hockey goals and as barrier netting. • We use #36 nylon nets with a 4” square for soccer to allow the most viewing room possible. Since a soccer ball is much larger than golf or baseball, the soccer ball will not fit through the larger mesh squares of our soccer nets. Nets available in black or white. After years of providing netting solutions, On Deck Sports understands that every athletic facility or field has a unique design and set of dimensions. Whether you speak with one of our netting specialists, or use our interactive custom netting calculator - we will provide the ideal netting solution for your particular needs. UV Protection - During the fabrication process, netting is protected with UV inhibitors and dyed a certain color. During our process we coat and dye each individual strand of netting, therefore protecting the net from the inside out. This helps maintain its initial breaking strength. Most companies fabricate netting and then dip and dye - only protecting the outside of the net. Once the coating on the outside of the netting is broken down, the netting rapidly loses breaking strength and integrity. Square Hung Meshes - All of our netting is hung on the square, not the diamond. This looks better and hangs easier - leading to a smoother installation. Built for Durability - Our inside-out technology helps maintain the breaking strength of our netting throughout its life. The breaking strength of our netting is the strongest in the industry. During the fabrication process, netting is protected with UV inhibitors and dyed a certain color. During our process we coat and dye each individual strand of netting, therefore protecting the net from the inside out. This helps maintain its initial breaking strength. Most companies fabricate netting and then dip and dye - only protecting the outside of the net. Once the coating on the outside of the netting is broken down, the netting rapidly loses breaking strength and integrity.